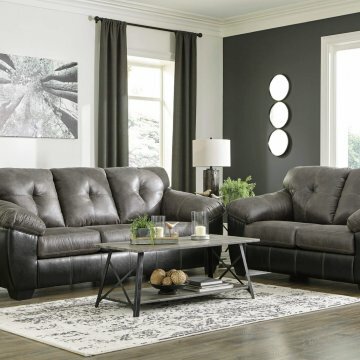 The Gregale Slate collection is from Signature Design by Ashley. 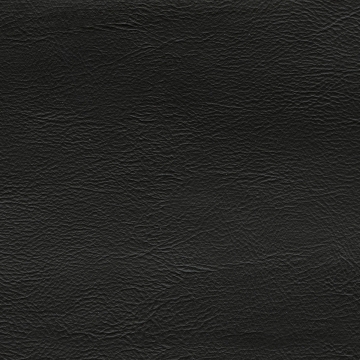 The Gregale Slate collection is covered in a two-tone combination. 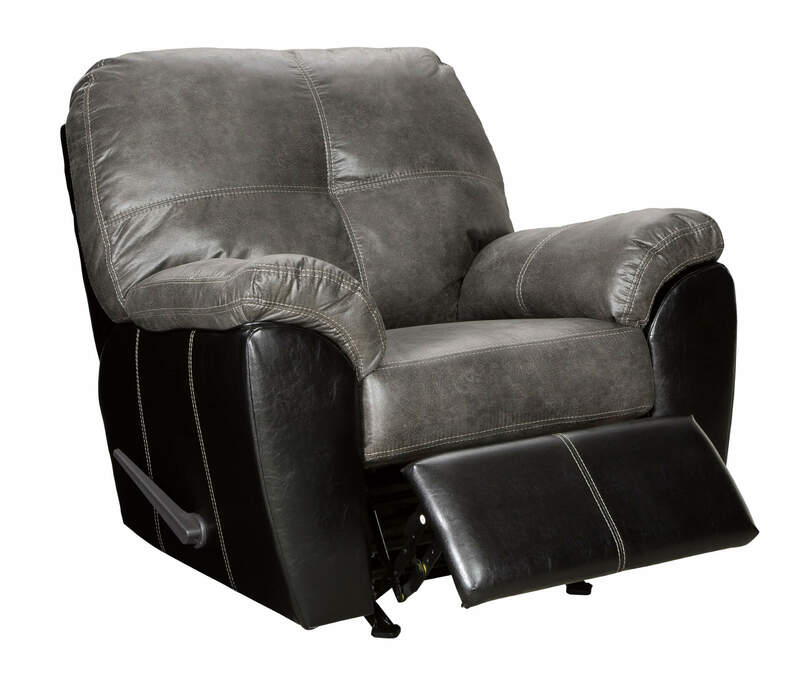 The Slate color on the inside is accented by the contrasting polyurethane on the outside. 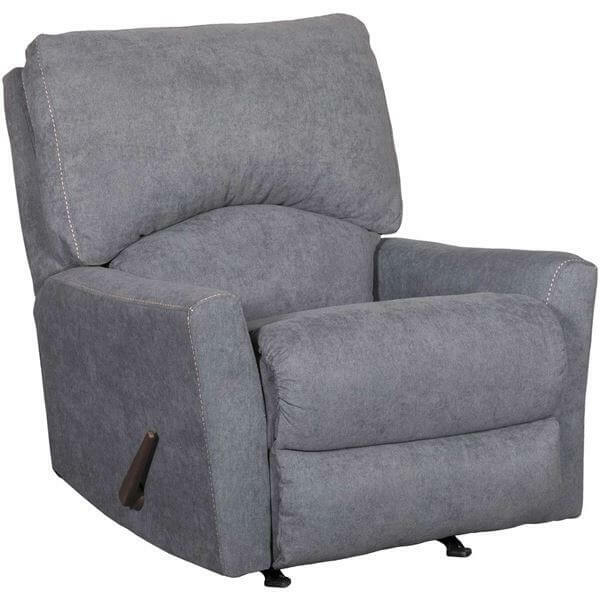 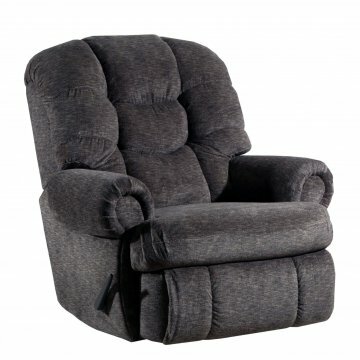 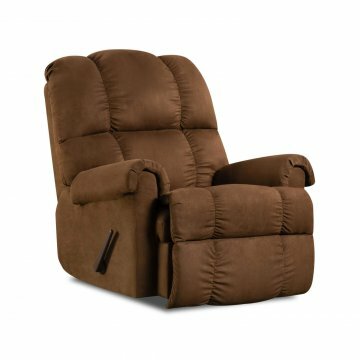 This rocker recliner features a relaxed, contemporary silhouette enhanced by the tufted back, contrast stitching, and pillow top arms.